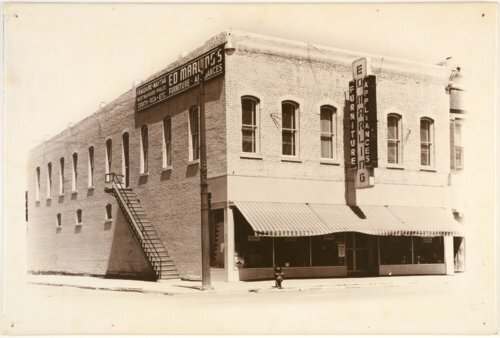 This is a photograph of the Ed Marling furniture and appliances store at 901 N. Kansas Avenue in Topeka, Kansas. The Marling family opened a hardware business in this building in 1950. A year later, the store's inventory was destroyed by a flood. The family cleaned up the store, reopened, and offered free storage and cleaning of appliances to flood victims.